​Mariam C. Said was born and raised in Beirut, Lebanon and currently resides in New York. She is a major force behind the West-Eastern Divan Orchestra, which was was co-founded in 1999 by her late husband, the literary critic and public intellectual Edward W. Said, and the pianist and conductor Daniel Barenboim. In 2009, Mrs. Said published the critically acclaimed memoir “A World I Loved: The Story of an Arab Woman,” by her mother Wadad Makdisi Cortas. ​Edwin L. Miller is a partner at the law firm of Sullivan and Worcester in Boston. A graduate of Harvard Law School, he has been practicing corporate and securities law for over forty years. Ed is a founding trustee of ACMiddleEast, and a driving force behind the organization's success, as well as a former Board and Executive Committee Member of the Boston Foundation for Sight. David Gardner is International Affairs Editor at the Financial Times, which he joined in 1978. He has been Chief Leader Writer, Middle East Editor, and a Financial Times correspondent in Europe, Latin America and South Asia. He writes columns, commentary and analysis, mainly on the Middle East. Born in Brussels, educated at St John’s College, Oxford, David now calls Beirut home. Rima K Bishuti was born and raised in Beirut and currently lives in Connecticut. She received her MBA in Finance and Management at the American University of Beirut after which she worked for over 10 years in Banking. Her last banking job was at the New York branch of the Banque Nationale de Paris where she worked at the European Corporate Lending Desk. Rima is fluent in Arabic, Armenian, French and English. ​Grace Said holds degrees from Duke University and Columbia University's Teachers College. 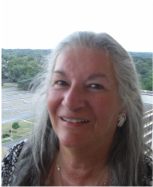 She has worked for thirty years as a software training developer and is currently based in the Washington DC area. A proud Palestinian-American like her late brother, Edward W. Said, Grace is involved in numerous charitable initiatives, including as a board member of Friends of Sabeel North America, Episcopal Peace Fellowship Palestine Israel Network, Palestinian Christian Alliance for Peace, American Friends of the Spafford Children’s Center, and Al-Shabaka, the Palestinian Policy Network. ​Maha Alami, a native of Beirut, is a graduate of Columbia University’s School of International and Public Affairs (SIPA). Maha is focused on issues affecting the Middle East, and has a history of supporting non-profit initiatives in the region. In the past, she led an effort to raise nearly half a million dollars for a scholarship fund at the American University of Beirut (AUB) for underprivileged Palestinian medical students. Now based in New York, Maha’s other passion is as a chocolatier at her own business, Maha Chocolate. Nada Kiblawi is the president and owner of NHK Consulting Services LLC, an electrical and mechanical engineering firm. A native of Beirut, Nada was the first female electrical engineer to graduate from the American University of Beirut (AUB). Outside her professional practice, Nada has participated in the founding leadership of the American-Palestinian Club (APC), and is also currently managing the Kiblawi Foundation, a family charitable fund that serves Palestinian Youth in the refugee camps of Lebanon.